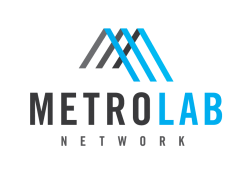 With support from the National Science Foundation, MetroLab Network and Smart Cities Lab are designing a research and action competition in the smart and connected communities domain. The Civic Innovation Challenge will launch in 2019, with anticipated support from NSF and other stakeholders. The Civic Innovation Challenge aims to leverage social science, data, and technology to address complex community challenges, enhance job growth and economic competitiveness, and address equity in our communities. …by asking cities and communities to lead the scoping process for how research will advance their priorities. …by testing technology, data analytics and innovative social science in cities and communities. …by connecting government, philanthropy and industry partners to drive progress. The first phase of the Civic Innovation Challenge is the launch of our Ideas Competition, which asked you — researchers, government employees, non-profits, residents — to identify challenges and priorities in your cities and communities that can benefit from technical exploration, scientific discovery, and new approaches. The Ideas Competition closed on February 4th. Thanks to all who submitted their ideas. We’ll be in touch and sharing more soon. The Civic Innovation Challenge would provide a unique opportunity for communities to curate a research process specifically targeted toward their most pressing needs. We are excited to support MetroLab and Smart Cities Lab to scope this effort, which would cultivate creative discovery and civic innovation.